a review. | Anna Allen Clothing Blog: a review. I received the items I got from the CSN Stores in the mail the other day and finally got a chance to use my new saucepan! 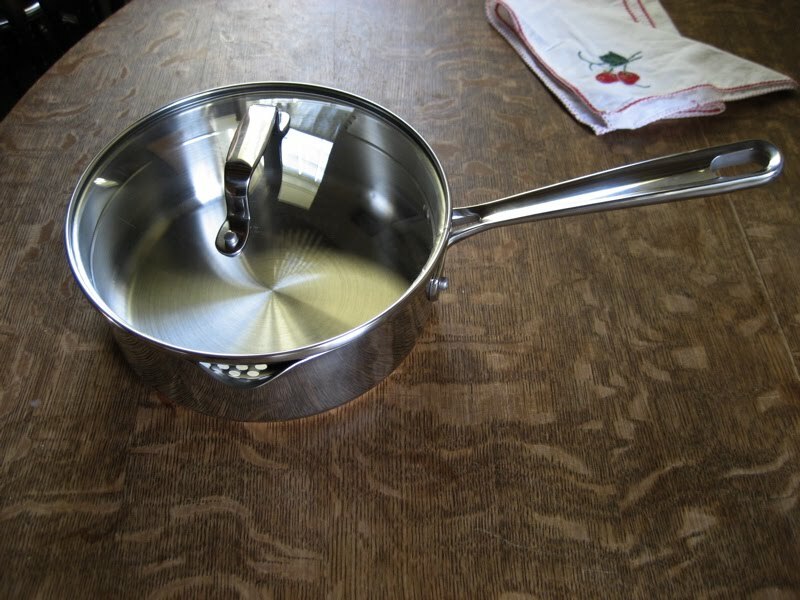 I'm actually going to be giving this to my boyfriend because he doesn't have a saucepan at his apartment. But I thought I would test it out before I gave it to him. 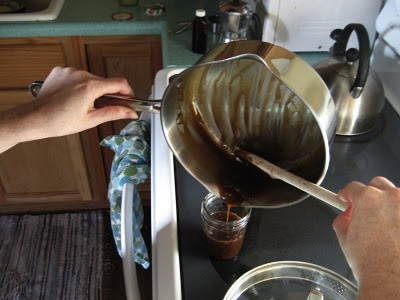 I made a simple caramel syrup using my own recipe (brown sugar, butter, milk and vanilla extract). I love this saucepan because there are pouring spouts on either side of the pan, which makes it nice for sauces. I also like the clear glass lid so you don't have to keep lifting up the lid to see how everything looks while it is cooking. I believe it's also oven safe, which may come in handy down the road. AND on the side of the lid where the pouring spout is at, there are small holes for straining liquid from pasta or other food that need straining. One side has slightly larger holes than the other. Perfect. No need to use a colander! The next item I received was a basic cheese grater. The big reason for getting this was because I'd like to make my own laundry detergent and almost every recipe tells you to grate a bar of soap. 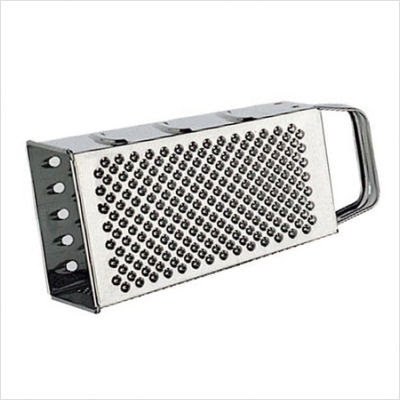 The only grater in the house is one that grates cheese and another that grates very fine cheese. I needed one in between these, so I got this multi-purpose grater. It's exactly what I was looking for. Sturdy and sharp. This is an essential item to have in your kitchen, especially one like this that will not rust! I will be using this a lot, that's for sure! I use a different one in the laundry room, because you may remember I started making my own laundry detergent before the summer.